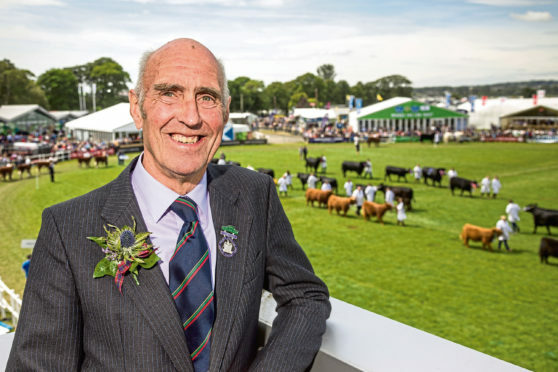 Another record-breaking year at the Royal Highland Show helped put the finances of Scotland’s largest agricultural society back in the black. The Royal Highland and Agricultural Society for Scotland (RHASS) said its annual show at Ingliston delivered a fifth successive year of record revenue. This, with income from a new hotel on its site and a bequest, saw the charitable society’s net operating deficit of £234,000 last year swing to a £618,000 surplus in the year ended November 30 2018. The show generated £4.76 million, an increase of £310,000 from 2017. Total income in the year rose £1.56m to £9.60m. Recently RHASS revealed a study which said the economic benefit to Scotland from the Royal Highland Show is estimated at £55.7m a year. As the company’s finances improved, the society boosted support for organisations which share its remit of promoting and protecting the interests of farmers, agriculture and rural industries and communities. RHASS awarded £301,000 in bursaries and grants, an increase of £116,000. Alan Laidlaw, chief executive, said the year could be “summed up as one of significant investment”, including £5.1m for a visitor pavilion due to be open for the 180th show in June 2020. According to its 2018 annual accounts, the society was able to allocate £4,250,000 from a bequest towards the cost of the new development. The funding came from the estate of John Romanes, who had been instrumental in the establishment of the Ingliston Racing Circuit at the show site in the 1960s. The society also added that trading income, generated by RHASS’s wholly owned subsidiary Highland Centre increased slightly on 2017 at £1.65m.